Founded in 1949 as pharmaceutical exhibition, Expopharm is now recognized as the largest pharmaceutical trade fair in Europe. It takes place once a year, alternating between Düsseldorf and Munich and it's accessible to trade visitors only. With around 25,200 trade visitors and 500 exhibitors (a fifth of whom were from abroad), Expopharm is an unmissable show for all pharmacy professionals! Expopharm is the platform where international decision makers meet to display their newest products and services. 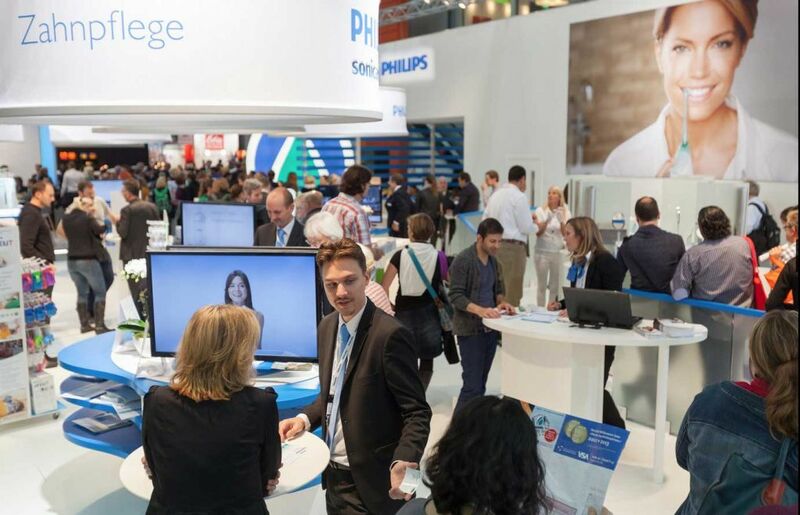 Brands like Herbamed (Switzerland), One-World (USA), Medicura (Germany), Philips (Germany) and Vita Green Europe (Spain) are some of the frequent attendees. So if you want to be an exhibitor, contact our team of experts in Germany. They'll guarantee you the best stand builders & designers in Düsseldorf! Expopharm also organizes many parallel events for experts to meet and share ideas. One of the highlights is the Expopharm Night, where the entire industry comes together for a final party. Besides, there's also a International Meeting Point, where overseas exhibitors can show off their products and services. Here, importers and exporters from all over the world have a perfect platform for their business.